Modern Mali, during the 19th century, was largely identical with the Tukulor Empire, ruled by Al-Haji Umar (-1864, succeeded by his son Ahmadu) and by Samori Toure (1870-1898), whose reign extended beyond the borders of Mali, into the Ivory Coast, Guinea and Burkina Faso. In 1880 Ahmadu, son of Al-Haji Umar and ruler over Tukulor, agreed to the French establishing and maintaining trade routes through his Empire, in return for a shipment of arms. In 1881 French military expeditions began to penetrate into the Upper Senegal and Niger valleys; in 1884 they established a stronghold at Bamako on the Niger. The French, in 1885-1888, had to subdue the resistance of the Soninke, in the areas recently occupied. In 1885 the French occupied the gold fields of Bure, of central importance to the economy of the state of Samori Toure; treaties with the French signed in 1886 and 1887 failed to result in a lasting peace. Samori Toure desparately tried to acquire modern weapons, from the French or from the British in Sierra Leone, and continued to fight wars against neighbouring African entities. The French aimed at cutting Samori Toure's supply lines and finally succeeded in doing so in 1894. Samori had lost much of his territory to the French, but conquered other areas to the east; only in 1898 did the French succeed in capturing him. Meanwhile, the French had signed treaties with Tukulor Segou (Ahmadu) in 1880 and 1887. Like Samori Toure, Tukulor Segou depended on the supply of modern weaponry, in order to deal with rebellious subjects. Unlike Samori Toure, who regarded the French a threat, the Tukulor long regarded themselves a French ally, until the French in 1889 took the Tukulor fortress of Kundian. Ahmadu now tried to persuade Muslim neighbours to join him in fighting the French; the Tukulor capital of Segou fell in 1890, her vassall Kaarta fell to the French in 1891. Ahmadu went into exile to Sokoto. The French in 1880 administratively separated Haut Senegal Upper Senegal) from Senegal proper; while the former was placed under civilian administration, the latter was a military district. Seat of the administration was Kayes. In 1890 the territory was renamed Soudan Française (French Sudan); in 1893 the core regions were transferred to civilian administration. The colony was included in French West Africa, created in 1895. While the frontier continuously was pushed forward, in 1899 the colony was divided into Haut Senegal et Moyen Congo (pper Sengal and Middle Congo, under civilian administration) and the military districts of Tombouctou (Timbuktu) and Bobo Dioulasso, to which the military district of Zinder was added in 1900. 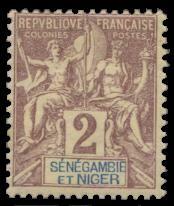 Renamed Senegambia and Niger in 1902, renamed Upper Senegal and Niger in 1904. In 1907, Bamako was made the capital of the French Soudan region of Upper Senegal & Niger. The railway Dakar-Bamako had been completed the previous year. In 1919, Upper Volta was split off and made a separate colony, in 1922 Niger. The remainder was rechristened Soudan Française (French Soudan). DOCUMENTS Map : Africa 1906-1912, from Historical and Political Maps from the Modern Age, in Spanish, borders !